Please choose the color for the two stones on your bracelet. 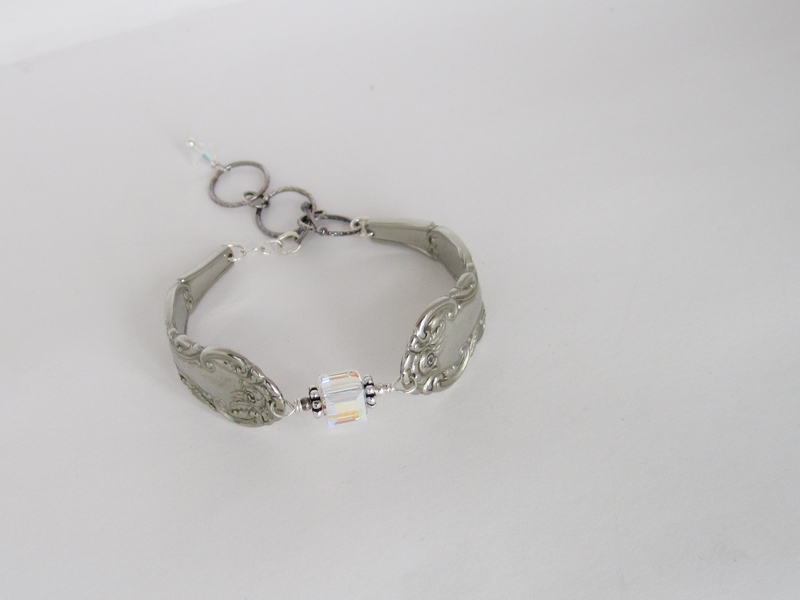 This bracelet was handmade by Lynsey using antique silver plated spoons. 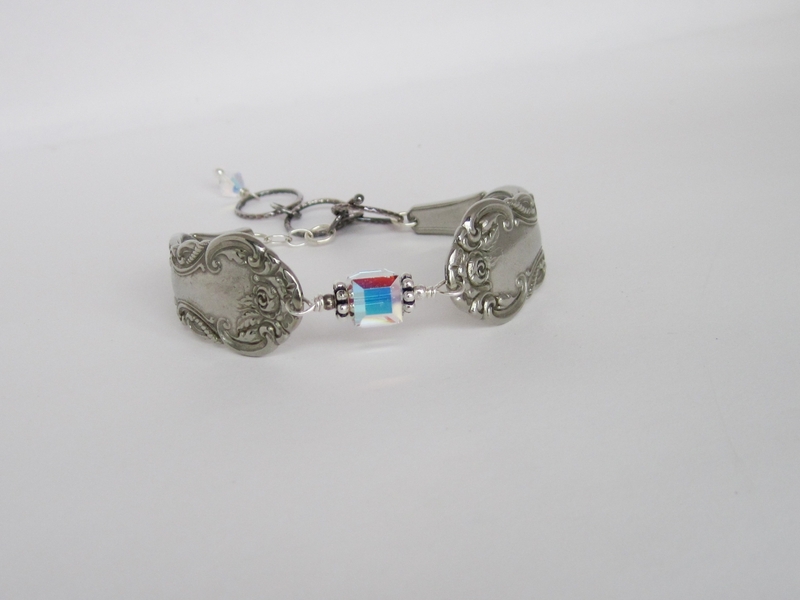 The handmade clasp is sterling silver that has a patina on it to add to the vintage look. 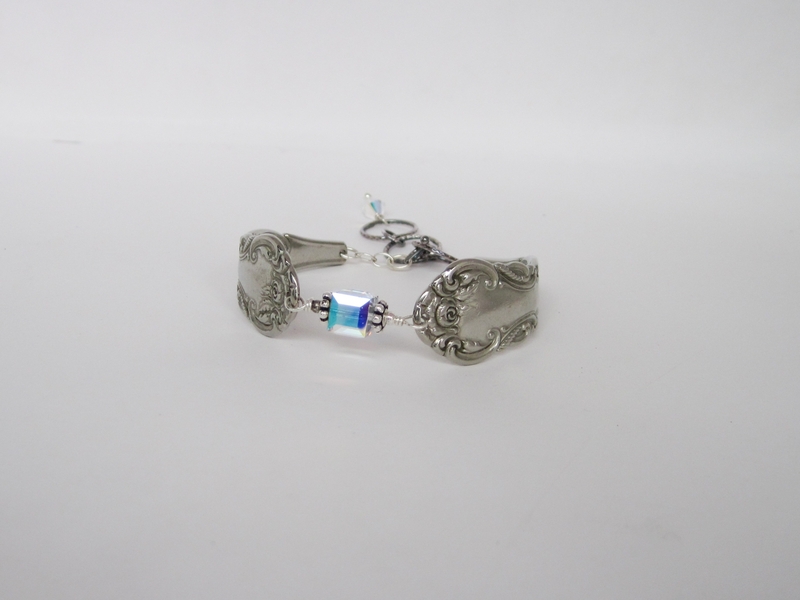 The three ring toggle clasp is also allows for adjustment in size(to small, medium and large), making it a perfect gift item. If you know you need an extra large bracelet, please message me before your purchase so that I can add a few links to the chain before the toggle. These spoons are 3/4 of an inch wide at their widest point. 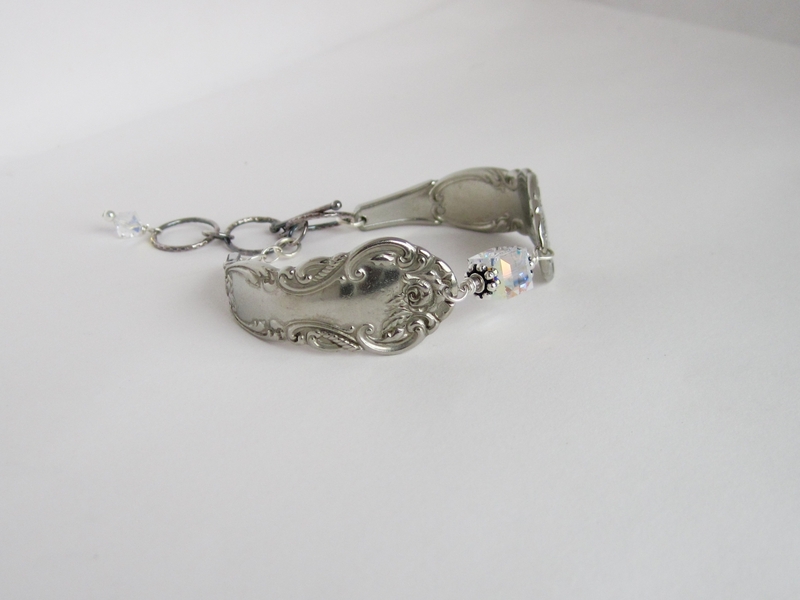 The bracelet is about 8 inches long (not counting the end charm). 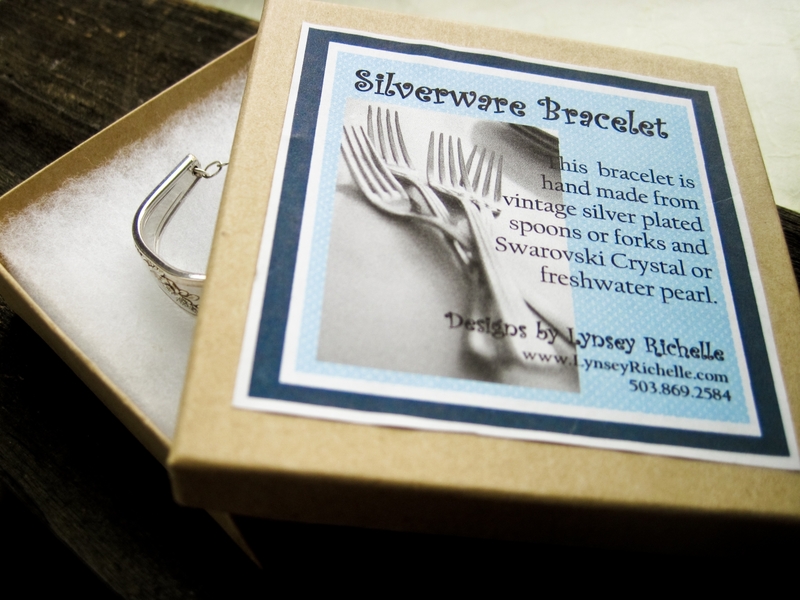 This bracelet was made from antique spoons that were hand cut, bent, drilled and polished. They were really well used and loved silver plated spoons in their former life. Because of that, please expect that they show some signs of their awesome age. They have some marks, dings, and worn spots-the pictures convey their look well. It adds to the cool factor, trust me. Thanks for giving them a new life and enjoy! CARE AND CLEANING: These spoons are silver plated and some of the components are sterling silver. They will need a little polishing from time to time. There is a slight patina on this piece, so if you dip it in cleaner it will turn to a "white" silver finish without any of the black detailing. I recommend wiping the piece with a polishing cloth that is made for silver and shining your crystal up with a little light glass cleaner on a soft cloth. Avoiding hairspray, perfume, oil, humidity, etc. on your bracelet and occasionally washing it with light dish soap, completely drying it and storing it in a plastic baggie will significantly lessen the need to clean the bracelet. Chlorine destroys metal so please don't wear it in pools or hot tubs, etc.